ClockShark is a GPS time tracking app for small businesses. Features include time tracking, GPS tracking, and schedules, notes, and edit sharing. Businesses use ClockShark to track time, location and job costs. ClockShark costs $5.00 a user, on top of a $25.00 base fee. Pros: Can track job costs. Direct time clock is helpful. App is easy to use. GPS function is the best part. Cons: Tends to drain battery. Not that reliable. Bottomline: ClockShark is user-friendly and easy to implement. It is a good option for businesses for tracking costs and employees. There is no recent ClockShark news or activity to report at this time. Is there a ClockShark free trial? ClockShark offer a 14-day free trial, which can be accessed via the email. Where can I find the ClockShark login? Go to clockshark.com and click "Login" in the top right corner of the homepage, or sign in directly here. What are some ClockShark alternatives? My employees have some difficulty using ClockShark. It takes too many "clicks" or whatever to do a simple task. 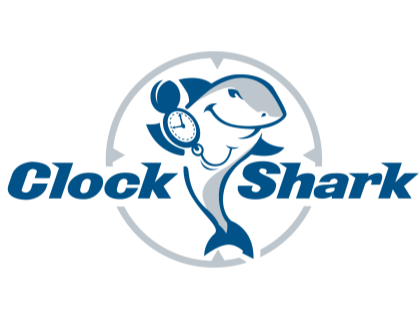 ClockShark works great and syncs with Quickbooks if you use payroll. App constantly breaks down, has false updates, and drains phone battery. The worst programming I've seen.